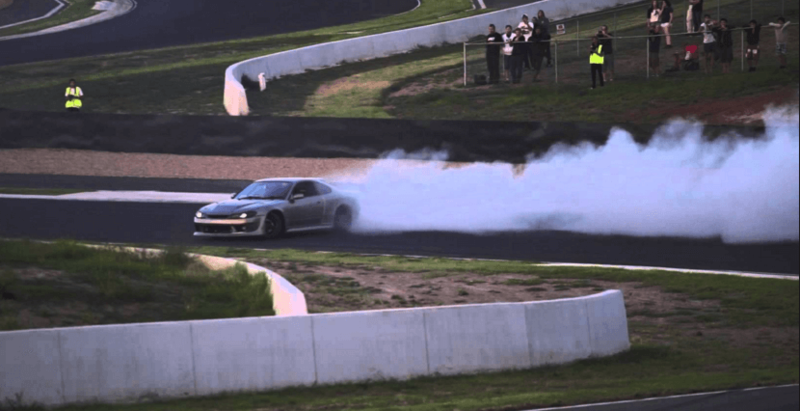 Pistol Pete gets sideways with his L98-powered Drift S15! Pistol Pete of Hit and Run Drift Club is getting quite cozy in the drifting world with his S15. This L98-equipped Nissan Silvia is almost too beautiful to drift! After all, we’re talking about the Japanese forbibben fruit, or in other words, the iconic “3d gen” 240SX that the states never got. The S15 Silvia, as mentioned previously, has a 6.0-liter L98 under the hood that gives out 465 RWHP and is garnished with Concave Concept wheels, full Vertex Ridge aero kit, and a handful of other goodies that enable the car to handle as well as it does. But, despite the awesome sound of the powerplant the thing that we definitely loved about the action is Pistol Pete’s ability to hold that much angle. Massive kudos to Pistol Pete for drifting a show-worthy car to its fullest potential and getting it down and dirty in battle! Wild Touge Action with 200bhp naturally aspirated Cressida! “Mad Matt”, 2006 Chrysler 300c SRT8 start up and burnout!! Harley Davidson Thunderbike – Production-R Custom Bike!